There was a time a few years ago (Well many years ago!) when we had no rain in the Kimberley during a Wet Season. None at all from November to February. Very dry. A group of us ladies thought that perhaps we should do a rain dance at midnight on our front lawns wearing the suits that we were born in. Luckily for the neighbourhood it began to rain at 09:00pm and so come midnight we were all tucked up in our beds with the airconditioners clunking away combatting the humidity. The wet season is a very important time. You can actually see the earth being replenished, washed and renewed. Ourselves as well. It is like as if the dust is washed off and our lives are strengthened. Experiencing a Kimberley Wet Season is indescribable. It is probably why I stay even though I whinge about the humidity and always say in March " I am not staying another wet season". This one is my 25th! Will we get a wet season? Will it be an early 'wet' or a late 'wet'? Will be have a wet 'wet or a dry 'wet? After a thunderstorm It's how much rain did you get. A great competition ensues. South Beach (Freo) walk this morning. Dog exercise area. Dear @JJ70, That feather is glowing! And keep posting to 'On our Walks' and 'In our Gardens' everybody. of our ute - now THAT feather would garner MANY comments!! 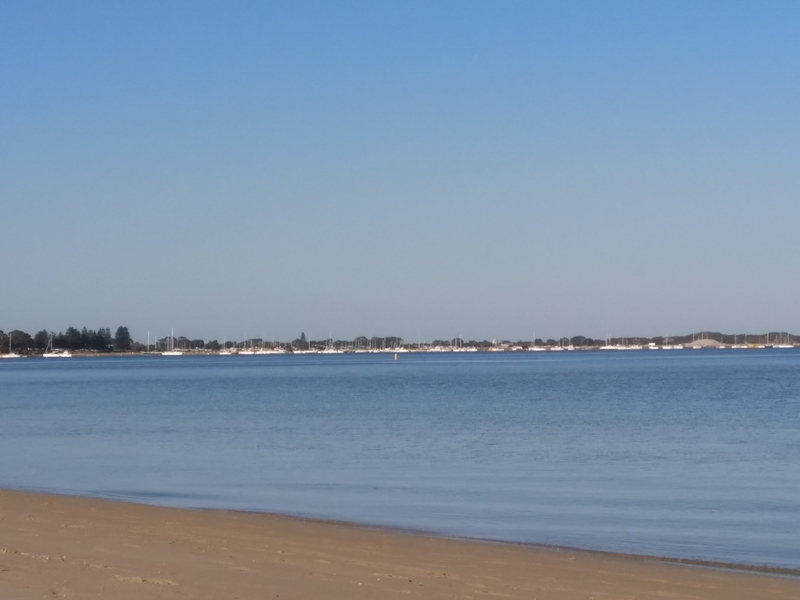 This is Rockingham beach this morning, so quiet and peaceful. I am hoping to find a female version, which is a stripy red and black tail feather when we go down again to Nannup this weekend. You really must come to the Kimbèrley. 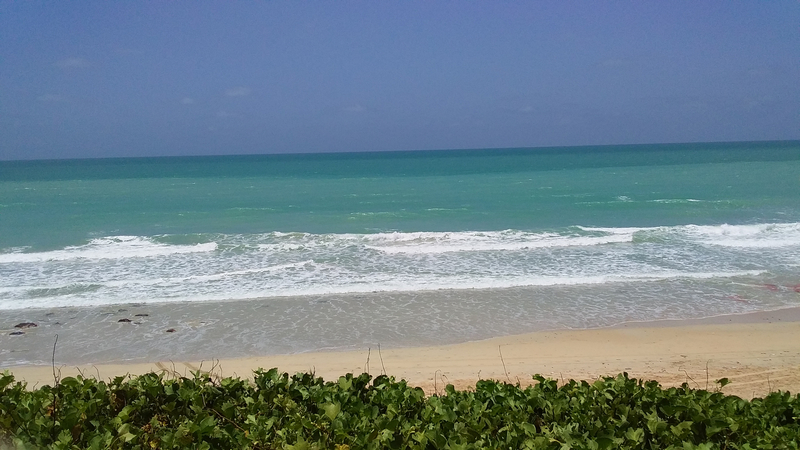 Cable Beach, Broome, today at midday. The tide was in. Cable Beach is not all white sand and surf, there are red rocks in there. Irakanji too ( stingers - box jellyfish) at this time of the year. Gorgeous! Are there crocs there?? 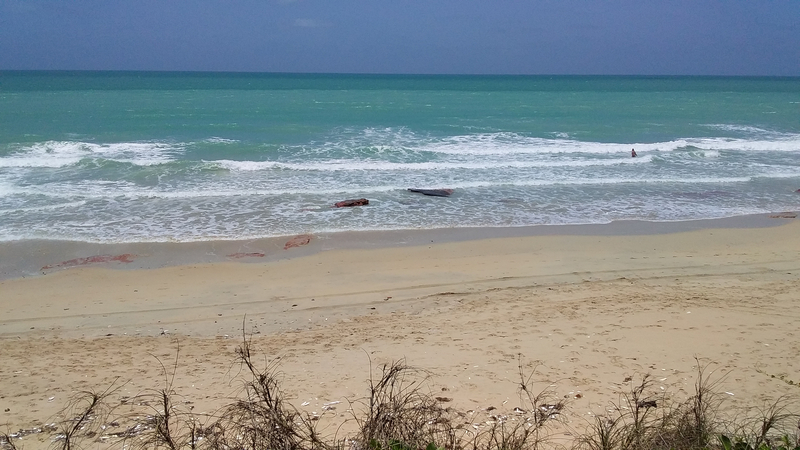 Yep, what the authorities and the media don't tell you is how often Cable Beach is closed. Yesterday midday it was closed due to stingers (irakanji). It was always commonsense in the north, many years ago, not to swim between November and April. Now the the local authorities close the beach - after someone has been stung!!! Irikanji are no fun - I reckon hundreds have 'drowned/cardiac arrest' over the decades, but really died from being stung by irikanji (all over the top end, even found now down to Fraser Island in Qld.) They are so tiny, they don't leave the big welt marks of Blue Bottles & other stingers ..... yet they reckon only 2 have died! How would they know! They weren't even identified as a threat until the 50s & not made public to the actual public til probably the 70s or later!